The entertainment lineup at the International Costa Maya Festival has gotten more exciting as the Honduran group Yerbaklan is set to perform for Tropical Night. 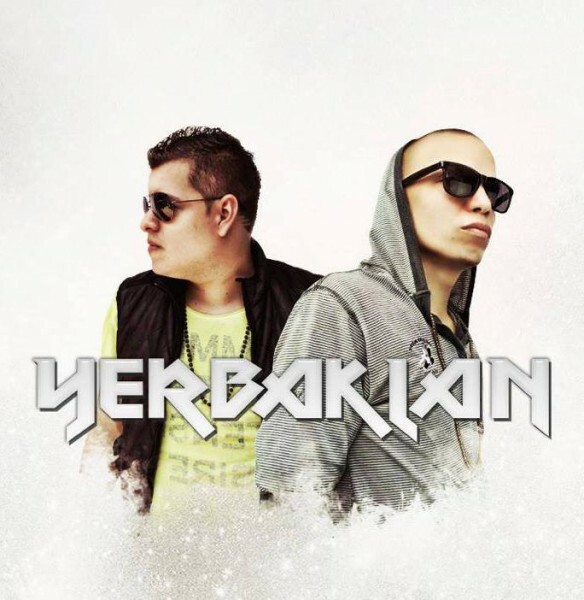 On Friday, August 5th, the most recognized and established urban duo from Honduras will be adding to the fun onstage. Cesar Castaneda (Csarec), singer/songwriter of San Pedro Sula, Honduras and Jaime Colindres (Jimmy James) singer/song writer of Tegucigalpa, Honduras are no strangers to Costa Maya, having brought their energy to the stage in 2010. Now they will be back with some new and exciting originals. Prepare yourselves for a fantastic night on Noche Tropical, because it will be Yerbaklan and Alison Hinds. Talk about energy and verve at the festival grounds! Of course, the committee has prepared entertainment for the three nights of the festival, starting with the Reina de la Costa Maya pageant, which will feature eight contestants vying for the coveted crown currently held by Miss Honduras Gabriela Vanessa Salazar Valle. So far, we have confirmed participation from Miss Costa Rica Monique Rodriguez, Miss El Salvador Marlin Ramirez, Miss Guatemala Maria Jose Larrañaga Retolaza, Miss Honduras Corina Canales, Miss Nicaragua Vianca Yasuara Gutiérrez Hernández and Miss Panama Margareth Villanueva. The pageant will take place on Thursday, August 4th, the first night of the festival, at the Hon. Louis Sylvestre Sporting Complex in San Pedro Town. On Saturday night, Noche Internacional, attendees will enjoy the fabulous sounds of the band Los Super Lamas. The International Costa Maya Festival Committee would like to thank the following for making the festival possible. Grand Sponsors: Belize Tourism Board, Ramon's Village Resort, San Pedro Town Council, Hon. Manuel Heredia. Diamond Sponsors: Chamberlain Consulting. Platinum Sponsors: Great Belize Production, Jose Luis Zapata Photography/Designing Solutions. Gold Sponsors: Belize Boarder Management, Love FM & Estereo Amor, Reef Radio, Radio Oye, Fiesta FM, The San Pedro Sun, Ambergris Today, Karen Brodie Photography. Silver Sponsors: Belize Telemedia, Maya Island Air, Tropic Air, Wine de Vine, Tabony's. Steel Sponsors: Star's Island Fantasy, Moncho's Golf Cart Rental. Bronze Sponsors: Victoria House, Belize Bank Ltd., Island Dream Tours, Cruise Solutions, Grand Caribe Resort. Friends of ICMF: Searious Adventures, Refri Tech Belize, Kay Brown, Flowers, Salazar & Associates, Milo's Center, Dive Master Eddie Alamilla, Sandy Toes Bar & Grill, Lily's Treasurer Chest Restaurant, Castillo's Hardware. Hotel Sponsors: Caribbean Villas, The Villas at Banyan Bay, Victoria House, Sun Breeze Hotel & Suites, Holiday Hotel, The Ocean Tide Hotel, Blue Tang Inn, Belizean Reef Suites, Corona del Mar Hotel. Restaurant Sponsors: Pineapples Restaurant, Caprice Restaurant, Fido's Courtyard, El Fogon, Elvi's Kitchen, Annie's Pastries, El Patio Restaurant, Finn & Martini and Caramba Restaurant. Contestants for the International Costa Maya have arrived!